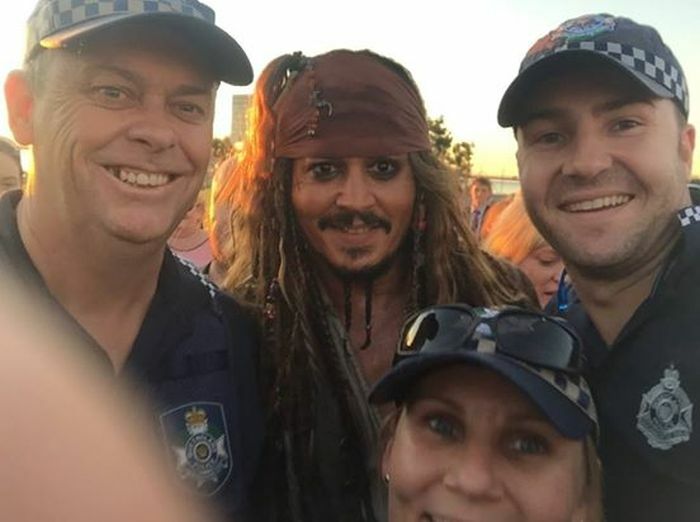 Johnny Depp was making his way to the "Pirates of the Caribbean 5" set in Queensland, Australia when he was greeted by a group of fans. 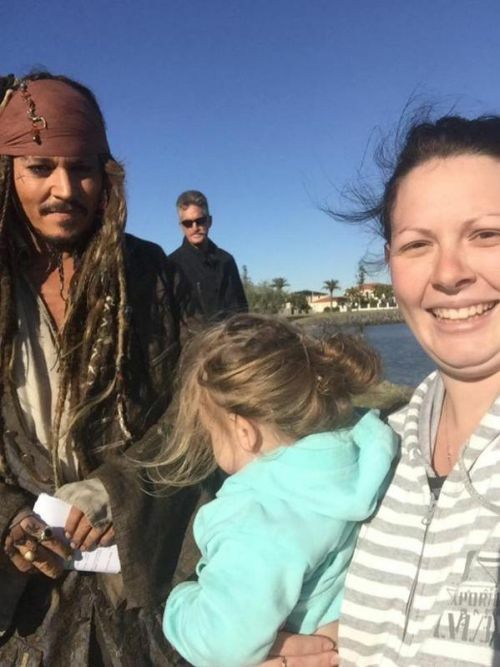 He took time out of his day to stop and talk with as many as he could and all the fans that talked to him said that they couldn't believe how nice he was in real life. he is a decent guy, dont see that much anymore.